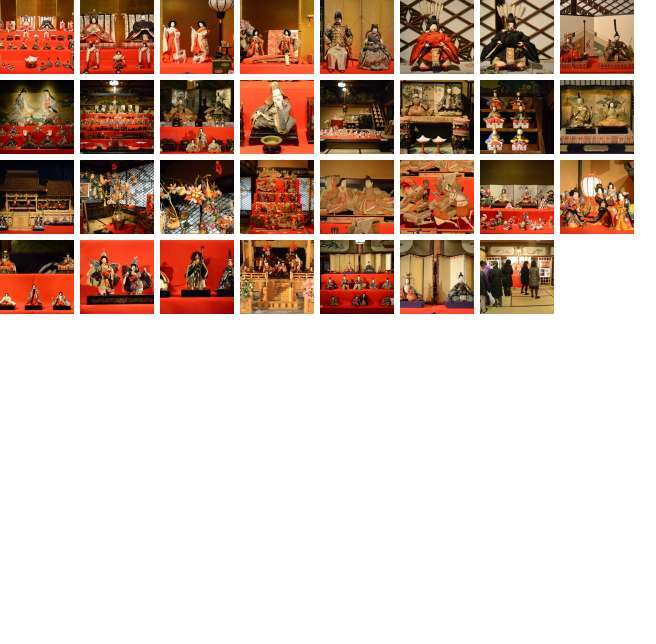 The fourth annual exhibition of antique hina dolls to celebrate the 'Hinamatsuri' girls' festival on March 3 began at the Hyakudan Kaidan hall, a cultural asset of Tokyo, in Meguro Gajoen. 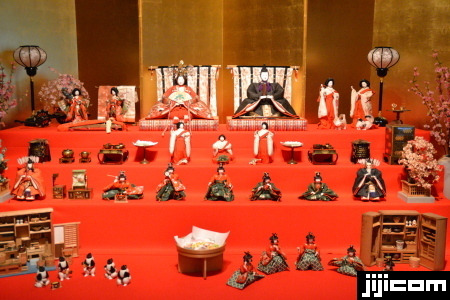 Hina dolls mainly represent the Emperor, Empress, court ladies, ministers and palace staff in the Heian Period (794 to around 1190). This year, dolls were brought from central and eastern Japan.